With a limited number of spaces still up for grabs for the 2019 Winter 2 Day Final in March, 20 anglers fished this week’s open on Jay & Raven lakes. As the match was split between the 2 lakes, the standard Continental Payout was in place to make the going fare for all competing on what turned out to be a hard day for most. The 8 anglers on Jay were well spread out but most found it hard to find consistent sport, even those who found a few fish, had to work exceptionally hard to keep bites coming. 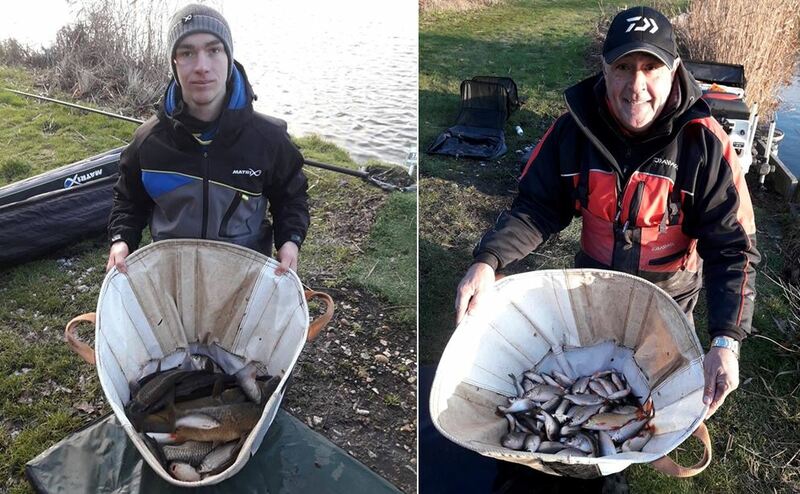 The lake was won by Harry Murphy on peg 11, who worked very hard to put 22lbs 04ozs on the scales, with all fish falling to maggot on the hook. Second spot went to Nigel Fawkes on peg 7 with 17lbs 02ozs, with third on the lake going to Andrew Kleen on peg 2 with 16lbs 06ozs. Raven was definitely the most productive of the two lakes on the day, with the large head of f1’s producing good sport for all but a few of the 12 anglers on the lake. The lake was won by Rob Heaton on peg 22, who caught on bread early on, changing to maggot to put 52lbs 08ozs on the scales. 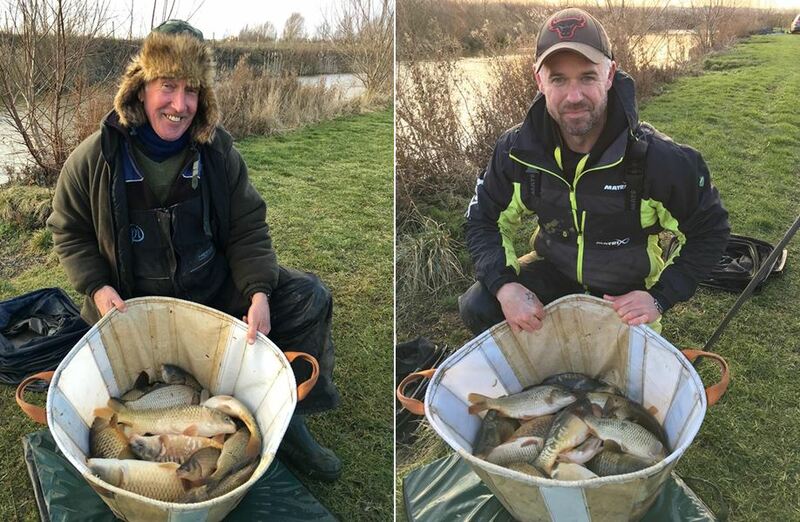 Second on the lake was secured with 47lbs 06ozs, taken from peg 13 by James Houghton, with Tony Mcgregor taking third spot, with 43lbs 12ozs from peg 5. Next Saturdays Winter Qualifier is on Jay & Magpie lakes, draw at the Cafe at 08.45, fish 10.15 til 15.15, all welcome!